New SuperPhillip Central Milestone - A Half-Million Views! It was in the wee hours of the morning that I noticed that the counter at the bottom of the sidebar had something significant on it. It had logged in over 500,000 page views at SuperPhillip Central since May 2009. That's not the only milestone either. For the month of June 2012, SuperPhillip Central finally reached over 50,000 page views in one month. I doubt we'll come close to that again any time soon as this month had E3 bringing in plenty of traffic. Regardless, thanks to everyone who continues to visit and frequent this blog of mine. My first and only brush with the Monster Hunter franchise was on the Wii with Monster Hunter Tri, and the only reason I tried it was because I wanted a new Wii game and wanted to support a massive third-party effort on the platform. That said, Monster Hunter Tri hooked me on the series, even though I was a passable player at best. Monster Hunter 4 expands the series to new heights with new mechanics and gorgeous graphics. Expect Monster Hunter 4 to roar onto the Nintendo 3DS in Japan in 2013. It's heads or tails whether the rest of the world gets to join the hunt. Set in the universe of Lost Planet, Capcom's E.X. Troopers is one delightful-looking game. It's immensely more appealing to me than the Lost Planet games. It's crisp, it's colorful, it's filled with personality, it's action-packed, and it's coming to the PlayStation 3 and Nintendo 3DS. The trademark has been filed in North America and Europe, so could it be only time until it gets localized? I am quite the fan of the Batman nineties animated series. It is what sold me on the character of the dark knight. That version will always be the one that I envy most. 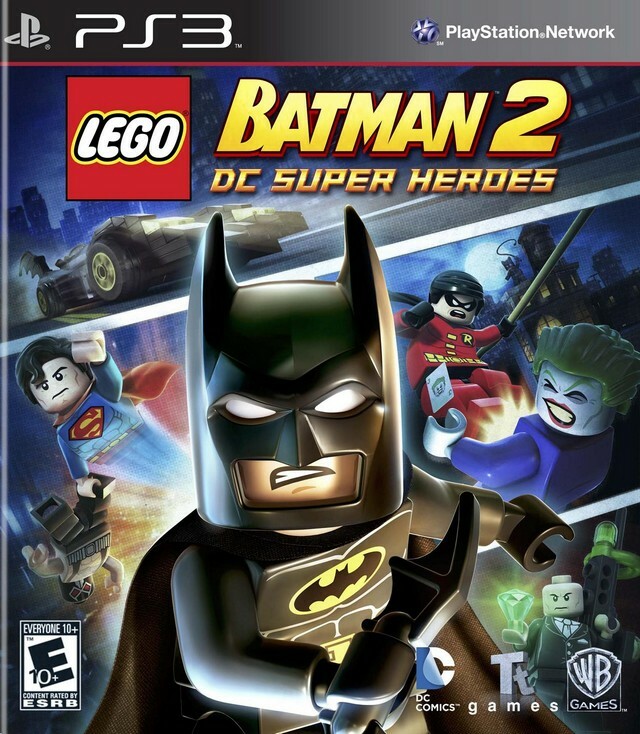 LEGO Batman 2: DC Super Heroes recently released in North America. I have the review for the console iterations, based off the PlayStation 3 build. I get by with a little help from my [super]friends. 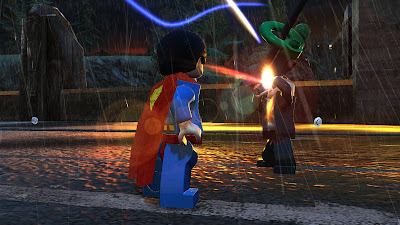 The LEGO brand of games has been spread across various properties such as Star Wars, Indiana Jones, Harry Potter, and Pirates of the Caribbean. Even an upcoming LEGO Lord of the Rings title is in the works. The basic foundation of the LEGO franchise has remained the same throughout the numerous brands developer Traveler's Tales has worked on. 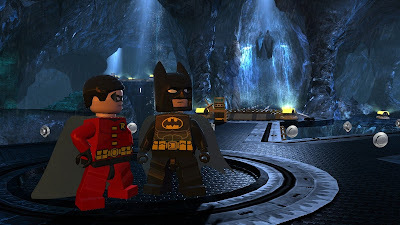 However, with their latest LEGO offering, LEGO Batman 2: DC Super Heroes, two new elements are making their long awaited premiere: an open world to explore and full voice acting. Does this dark knight rise? After crossing one another's path at a Gotham City Man of the Year Awards ceremony, Lex Luthor and the Joker have a match made in criminal heaven after Luthor busts Joker and the seemingly entirety of Arkham Asylum out of captivity. Luthor has an all-new invention, a deconstructor gun, able to pull apart objects and people brick by brick. Enter Batman and Robin. The streets of Gotham are in a state of anarchy with a cavalcade of villains and thugs running rampant, terrorizing innocent civilians. It's up to Batman, Robin, and perhaps some outside assistance to wrangle all of the criminals back to Arkham and more importantly put a stop to Lex Luthor and Joker's joint caper. The trademark humor that the LEGO games are known for shines especially through the addition of voices. Pre-level segments like Gotham City News and tone of voice does wonders for the plot. The sense of humor is superb. Batman and the boy wonder, together again. While Gotham City has some parts that are free to explore early in the game, you are at the mercy of following the story. The city doesn't entirely open up for full travel until you have beaten the final chapter. That said, the story mode isn't incredibly long. Missions vary in length. Some can take up to 45 minutes when you're breaking, bashing, and destroying everything possible, while others can take as little time as 15 minutes. 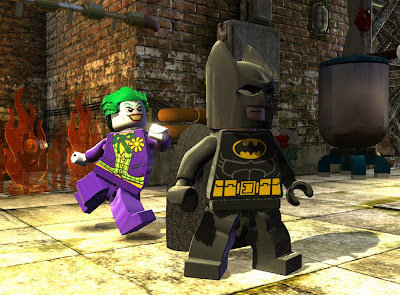 If you have a played even one LEGO game in the past, the gameplay of LEGO Batman 2 should be familiar to you. That isn't to say nothing has changed. 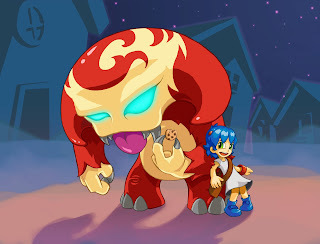 Nonetheless, you roll through levels, beating enemies and solving puzzles to advance. Generally the best plan on action is to aimlessly punch, kick, and slam around, destroying as many objects as possible as not only is the best way to get some serious amounts of studs, the currency of the LEGO series, but it's usually the way to move on. Some breakable objects reveal LEGO pieces that can be built into specific objects such as switches, staircases, buttons, pads, and so forth. 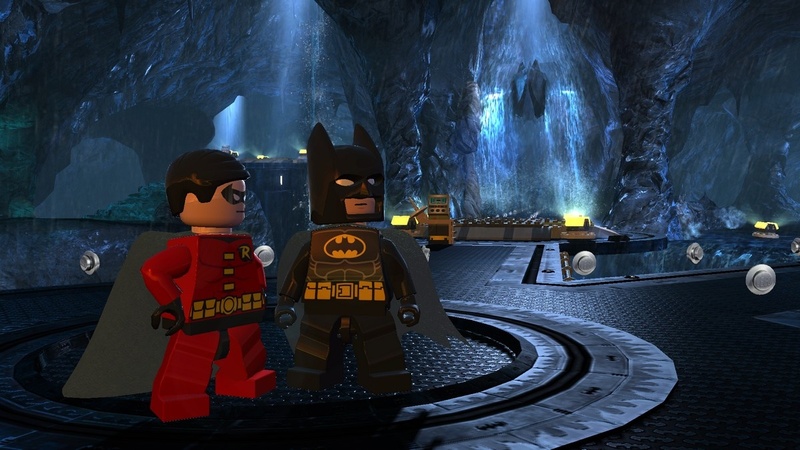 At the start of LEGO Batman 2, you just have Batman and his trusty sidekick Robin to work with. You can change between the two characters at any time. By the end of the story, you get more heroes to work with, such as Superman, Green Lantern, Wonder Woman, and Cyborg. You can even play as a myriad of villains as well. Each character has their own usefulness in each level and around Gotham City. Batman can pull certain switches with his grappling hook as well as use particular pads to transform his suit. 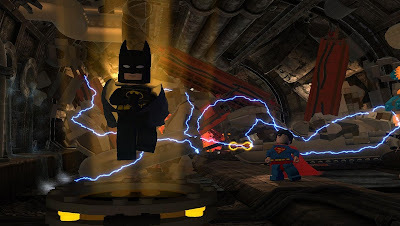 He has four varieties: his normal suit, his power suit which can shoot missiles to blow up silver LEGO objects, his electricity suit which allows him to saunter through high voltage areas and pull otherwise shocking switches, and his bat suit which gives him the power to soar across gaps and use a sonar gun to break certain blocks. Conversely, Robin has his own line suits. Meanwhile, heroes like Superman can blow up with gold LEGO objects with his heat vision, freeze water with his icy breath, and fly for unlimited periods of time. When you unlock Free Play mode (after beating a given story mission), you can switch between any character you like instead of just using the characters the story dictates you to use. help, even he is forced to admit he appreciates it. Even after the fifteen chapters of the LEGO Batman 2's story are completed, you still haven't even seen half of the game. Gotham City is full of secrets and surprises, places to go, people to see, and civilians to save. There are thirty-five innocents (there are fifty citizens to save in all, but fifteen of those are in the story missions; one per mission) that unfortunately wound up at the wrong place at the wrong time and need your saving. Some are encased in a block of ice, needing someone with heat vision to thaw them; some are inside some of Poison Ivy's plant specimens; some are surrounded by goons in a no-win situation. Case in point: it is your duty to assist them, and they will make it worth your while through giving you a gold brick. 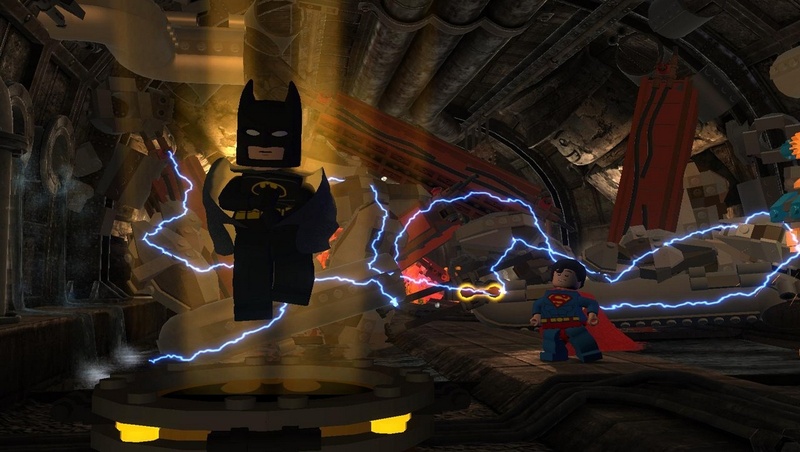 Gold bricks are the most important collectible in LEGO Batman 2. There are a total of 250 of those babies to collect. You automatically get one after completing each story chapter, but you have to earn the rest through multiple means. 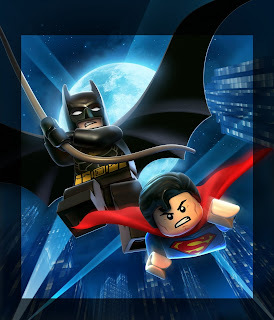 Gathering enough studs to reach Super Hero mode in each chapter, gathering all ten Mini-Kits in each chapter, saving helpless denizens in each chapter and around town, and coming across hidden gold blocks around Gotham are all methods to collect gold bricks. 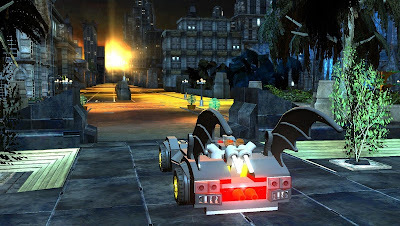 Another thing to collect are Mini-Kits-- ten in each level-- and when all ten have been gathered in a given mission, a new vehicle is available for use in Gotham City. Mini-Kits are hidden remarkably well generally. other rides out for a spin. You might be thinking that with so much to find in Gotham that it's an impossible task to track everything down while keeping one's bearings. Well, to assist you, around the city are numerous terminals which are easy to pick out from way above as each terminal is encompassed by a tall pillar of light, piercing into the skies. A red light means a terminal hasn't yet been activated while a blue light signifies just the opposite. Most terminals can be accessed without problem, but some have locks around them that can only be broken off via heat vision or can only be assembled by The Flash. Not only do turning on terminals allow you to scan the nearby area for any secrets, but it also reveals the location of one of the runaway villains. Heading to the location, defeating the enemy in combat, and paying a varying amount of studs enables you to play as that character in Free Play mode. As I said, beating the actual story mode won't take an extended amount of time. That notwithstanding, completing LEGO Batman 2 100% is an entirely different story. There's the 250 gold bricks to obtain, the fifty citizens to save, the 150 Mini-Kits to find, and 20 cheat-unlocking red bricks. These cheats are things like invincibility, stud multipliers, extra health, among other bonuses. Thankfully, cheats can be used without consequence. They won't ruin your chances for achievements, trophies, or more importantly, the ability to reach 100%. (And that's a relief since one of the achievements is having more than one billion studs on you at one time.) Completing LEGO Batman 2 isn't much of a difficulty other than requiring at least 20-30 hours of time as dying in the game just means you respawn. Some might dislike the ease of challenge in this title, but for a game for everybody, I can understand why the developer wanted the frustration level to be relatively low. Superman can literally stare a hole right through you. That said, there are still moments of frustration. Missing jumps because of an awkward camera angle; countless glitches such as game freezes and moments where the game prematurely calls forth an event before it is time for it, meaning you have to restart the level from a checkpoint or worse the beginning; and the flight controls of Superman and Green Lantern being absolutely wonky are some of the objections I have to LEGO Batman 2, especially the latter. It's next to impossible to fly with any semblance of precision. The technical issues can at least be patched, and they happen so rarely that I wasn't bothered too badly by them. The presentation of this game is by far the best the LEGO series of titles has seen. The levels are highly detailed with loads of breakable objects. The environments are quite creative and eye-catching. Gotham City is a true treasure with its impressive architecture and various locales like Ace Chemicals, the Gotham Zoo, Arkham Asylum, Wayne Manor, and the Botanical Gardens, even when there is blatant pop-in and slowdown. The way the buildings shimmer as they are coated with droplets of rain is mighty marvelous. Not all is well, however. The GPS "breadcrumbs" that show you the path to your next destination in Gotham City are the same size as the studs strewn about the city, making them hard to see. And speaking of things that are hard to see, the compass is full of unnecessary icons. When you set a marker on the map to help you find a location, it is constantly covered by other icons that get in the way of the marker. "Hiya, Bats. Care for a hug?" For the first time in a LEGO game full featured voice acting is present. Leading the cast is the return of Clancy Brown (Highlander, The Shawshank Redempion, Starship Troopers) as Lex Luthor, a role he has played for over a dozen years. The rest of the cast is well rounded and fit their parts excellently. If you are a fan of Danny Elfman's Batman movie score and John Williams' Superman movie theme, you will find lots to love with the soundtrack of LEGO Batman 2. Nothing makes you feel more like a hero than soaring around Gotham City with bombastic fanfares blaring. LEGO Batman 2: DC Super Heroes adds some new elements to the franchise to help it avoid feeling like the same-old same-old. The open world is like the whole game-- it isn't perfect. There's a whole slew of technical issues and weird design decisions, but Gotham City feels like what I'd imagine a comic book world to feel like. The story missions are about as fun as you can expect from the LEGO series. That is to say that they are a blast. They are ones you will need to play through at least twice to fully collect everything. LEGO Batman 2 is a recommended pickup for any fan of the dark knight, fan of the LEGO series, and/or fan of games for everyone. Play alone or with a friend, now you too can save Gotham from the edge of madness. Now, I don't claim to understand the method to the North American eShop's madness. No, I'm much too pedestrian of a thinker for that. I mean, why release a demo for a game coming out this Tuesday (Theatrhythm Final Fantasy) when you can release a demo for a game that isn't due out for a couple of weeks? I'm no marketer, so this question obviously befuddles me deeply. Nonetheless, I can't really complain when we lucky North Americans get to try out a demo of Rhythm Thief & the Emperor's Treasure. I like this game getting a demo because it will no doubt be on the Most Overlooked Nintendo 3DS Games - Part Two list for two reasons: 1) It's niche, and 2) It's being published by Sega, a company with some recent troubles, so advertising dollars best go to bigger games. 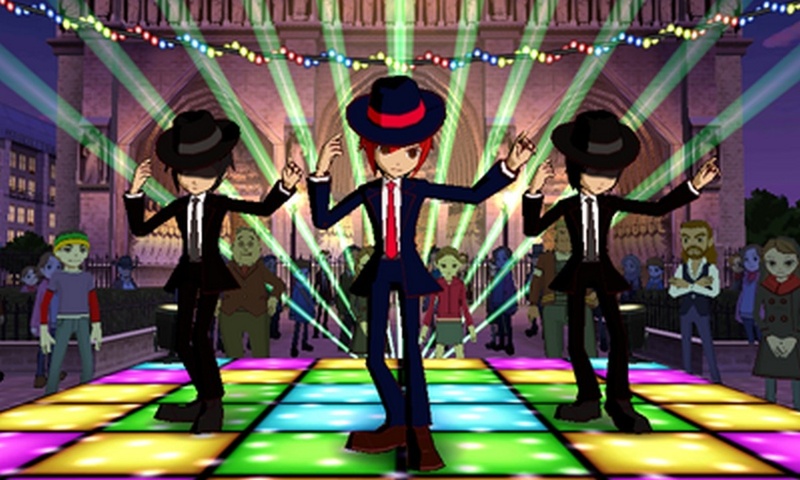 If the title of the game didn't give it away (not calling anyone dumb or anything), Rhythm Thief features many rhythmic elements. The actual demo is limited to thirty plays and three rhythm-based mini-games, but perhaps you're like me and want more. Insatiable gamers and all that stuff. Let's discuss what I liked and possibly disliked about the trio of mini-games. 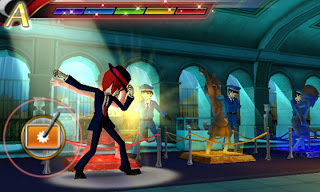 Featuring three dancers including our smooth criminal hero moving and grooving around various Paris locales like the Arc de Triomphe, Showtime has relatively simple controls. You slide the stylus in the direction indicated in the circle. Around the circle the direction shown is located in is a ring that closes over the circle. The closer to the circle the ring is when you swipe the appropriate direction, the better your score will become. To earn a high score and thus a high ranking (A is the best ranking while E taunts you as a horrible player) you need to keep a combo going, a trend that continued through the other two games and no doubt the rest of Rhythm Thief. Stealing objet d'art is just one of the many jobs of our hero. This mission puts him the role of say, a Thomas Crown. Only this Thomas Crown can bust a move like nobody's business. Sneaking through patrols, striking poses at the right time to hide behind statues, and then basically making a mockery of the Louvre's squadron of guards through sauntering casually behind a witless guard or tapping one of their shoulders are all actions taken by the Rhythm Thief in this mission. The controls are easy. You have four differently colored buttons on the bottom screen. 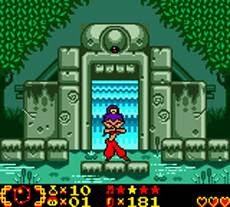 When you get the music and visual cue of the guard turning around and the hero standing behind the various statues, you tap the button that is the same color of the statue to have the art robber's body contort perfectly to the shape of the statue, fooling the gullible guard. You don't get to steal 500 priceless heirlooms without making a few enemies. Meet some type of task force assigned to taking out our pilfer-happy hero. But thankfully rhythm is on our side. This game sports analog input controls: the d-pad for smacks on the left and the face buttons for assaults on the right. Armored goons will attack in time with the music. The goal here is to beat away each offender before they can touch you. At the start, they attack on only one side and then the other. As things get more challenging, they start assaulting our hero from both sides, sometimes in pairs. Occasionally you'll be tasked with mashing both the d-pad and the face buttons to tackle the leader of the force. Now it's important to note that the missions included in the demo are early ones, so the difficulty isn't quite there. The full game will have more of a challenge, a story, dozens upon dozens of unique missions including some that mimic known Sega properties like Samba de Amigo and Space Channel 5, the ability to travel around Paris via map, and numerous secrets to discover. 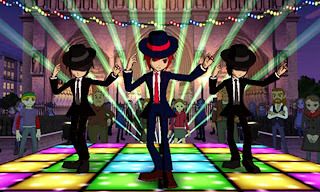 I sort of have this "this is the Professor Layton of rhythm games" vibes, and that is always a really good thing. If I can find this for $30 or under, and I have the actual money to afford it (or if I ever get off my behind and start schmoozing publishers to send me review copies), Rhythm Thief & the Emperor's Treasure will find a place in my always expanding 3DS collection. Take a glimpse at my new Demo Impressions section in the SPC Feature Catalog. Next month in North America, Nintendo will be releasing two 3DS Virtual Console games weekly as part of their Summer of 8-bit celebration. Such notable titles include Wario Land: Super Mario Land 3, Kid Icarus: Of Myths and Monsters, and Kirby's Pinball Land. Those will at least be the ones I'm picking up. But what about those games that haven't been announced to come the Virtual Console's way? That's what this article is all about. Today I will be talking about games for the Game Boy and Game Boy Color. Note: Part Two will be posted next week, so if you don't see your favorites listed today, wait for and check out Part Two. The Donkey Kong Country trilogy on the Super Nintendo were graphical wonders, but the pretty presentation of the games wasn't the only worthwhile part to the whole ensemble. The platforming was superb as was the level design. Rareware used the foundation of the gameplay and design of the DKC trilogy and used them to create the Donkey Kong Land games. Halving the amounts of bits made for some technical limitations in the games such as only one Kong being on screen at the same time, but the trilogy was still a barrel of monkeys. I mean that a good thing. There really are no bad handheld Zelda games (argue about Phantom Hourglass and Spirit Tracks all you want, but I reviewed them positively). Capcom's now-defunct Flagship studio developed a duo of Zelda games, released simultaneously, both with the ability to affect one another through generated passwords. Each game featured its own main feature (time travel for Ages and season-switching for Seasons), had eight dungeons, a myriad of secrets, and huge sprawling worlds to explore. I enjoyed my trip back to Koholint Island with Link's Awakening DX. I look forward to my trips back to Labyrnna and Holodrum if Nintendo ever re-releases this pair of near perfect games on the eShop. 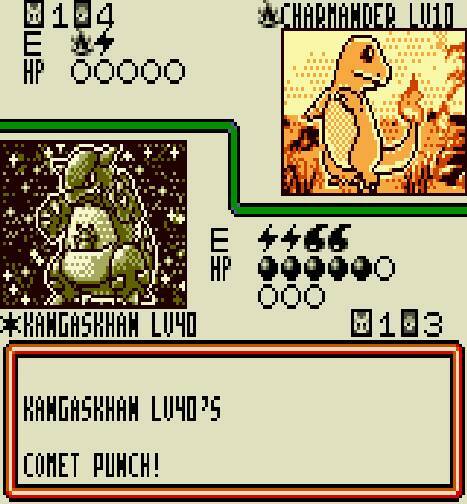 Unlike the previous two entries of this special article, I have never played the aptly named Pokemon Trading Card Game, although I did collect loads of real world Pokemon trading cards. (Gotta love those foil cards.) Instead of shelling out six or seven real world bucks per booster pack and hoping you get lucky and getting no doubles, you could invest in virtual cards and expand your collection greatly. Soon, the world will crumble at your heels as you parade around with a masterful deck of cards. So if you'd rather not have a box full of cards in your closet like me, you're probably clamoring for Nintendo to release Pokemon Trading Card Game on the eShop-- perhaps even if you already own a physical copy. 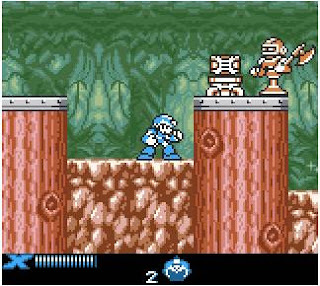 Taking the familiar gameplay of the Mega Man X series and translating it and shrinking it to fit on the limitations of the Game Boy Color hardware, both Mega Man Xtreme games come off as remixed versions of the console titles, particularly X1-X3, as the stages and bosses are recycled. While called difficult by most critics due to said limitations, the Xtreme duo of games are ones I would like to try out as I've never played them. 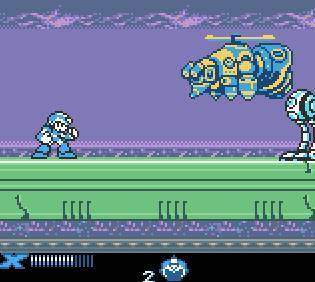 And seeing as how big of a nut I am of Mega Man, I'm sure I could find some enjoyment from these games. 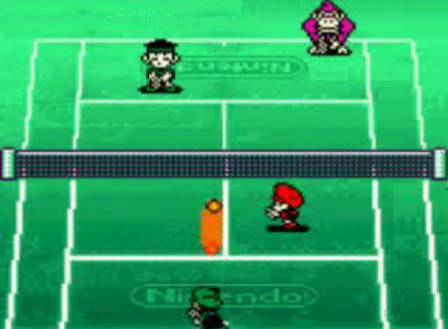 The first Mario Tennis game to showcase a story mode with light RPG elements, Mario Tennis for the Game Boy Color is one of the better entries in the franchise. It's one that I'd love to have on my 3DS in digital form, even though I already own a physical copy. Those batteries can't last forever, you know. Growing your character over time from weak tennis neophyte to tennis pro through playing multiple matches and gaining experience points is an entertaining dynamic, something that the series had never seen before. The games that started it all, Pokemon Red, Blue, and later on Yellow initated the phenomenon known as Pokemon, still going strong to this day. Remember when some people called it a fad? Regardless, I'd love to relive the classic gameplay of these three games. The only main stumbling point would be the matter of trading Pokemon between versions. How would it be handled with digital versions of the games when Nintendo has a habit of being lazy with the Virtual Console? Probably a pipe dream, now that I think of it. I love 2D platformers, but I was unfamiliar with Shantae and the game's developer, Wayforward, when the game originally came out. I was young. I had no money. I was naive. What can I say? Fast forward to the present, and my interest in the game is high, coming off reading reviews and impressions by various sources. Imagine my surprise when I see on eBay used versions of the game going for high sums of money. If the Virtual Console serves no other purpose, it should serve as a means for out-of-print titles to get a second chance under the sun on the eShop. 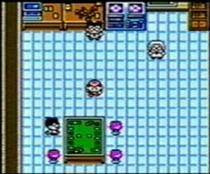 A sensationally popular genre on the Game Boy was the puzzle game. Since the day of Tetris hitting the handheld and dominating sales charts and players' time, the genre had many developers heavily invested in it. 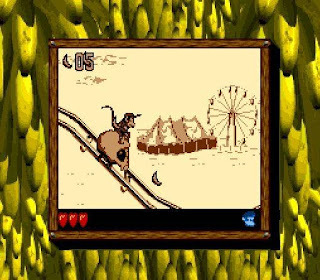 One of Mario, Donkey Kong, and Zelda creator Shigeru Miyamoto's most unknown games is Mole Mania, a title where you moved a mole through levels, clawing your way through patches of dirt in order to bring a ball from the start of the level to the goal. I think portables are the perfect place for puzzle games of this variety, and having never gotten to play Mole Mania-- you guessed it-- it's another game I'd love to experience on the eShop. Next week I will have the second part of the Game Boy and Game Boy Color titles I'd foam at the mouth to see on the 3DS's eShop. Until then, feel free to name what games you'd be interested to have on Nintendo's Virtual Console service. Mario is quite the plumber. Perhaps that's a false statement because between saving the princess from the clutches of Bowser, battling Donkey Kong, driving go-karts and bikes, having multiple rounds of golf, refereeing boxing matches, and taking to the baseball diamond he really doesn't have much time for his actual profession. Yet another hobby that Mario planned to dominate was tennis, and he wasn't alone. The whole Mushroom Kingdom crew joined him. 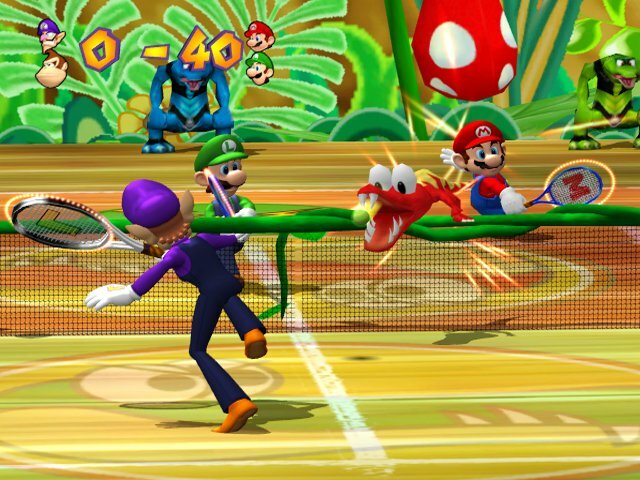 The Mario Tennis series is meant to be casual arcade tennis fun, and some might argue that the gameplay is unrealistic. Well, if you're looking for something closer to the sport (I wouldn't go to a series where princesses and babies take the same court), Virtua Tennis, Grand Slam Tennis or Top Spin meets your criteria. That said, my favorite tennis titles are no doubt those which star the plump plumber. 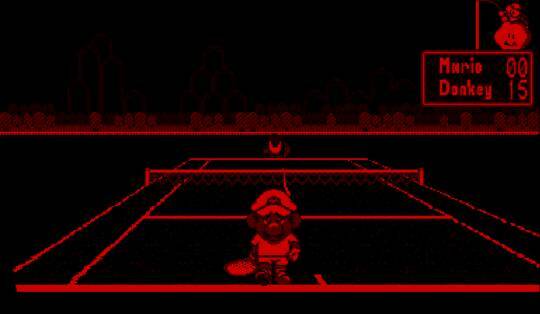 Mario's first steps onto a tennis court brought him onto the ill-fated Virtual Boy. Six other characters join Mario in his original tennis romp including Peach and Donkey Kong Jr. Mario's Tennis was one of the premier Virtual Boy titles to actually be improved by the 3D effect (and one of the only notable VB games, for that matter). It was easy peasy to distinguish how far away and how close the ball was to your character. The challenge of the game, even with the CPU on Easy, made for some massively heated matches. 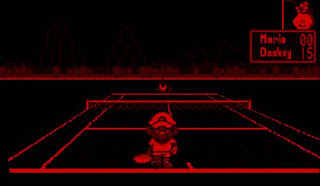 However, the blandness of the environments as well as the lack of unlockable or even in-game content made Mario's Tennis a game that was incredibly short lived to be played in even shorter play sessions (and the headache-inducing red and black color palette will make glad you did). 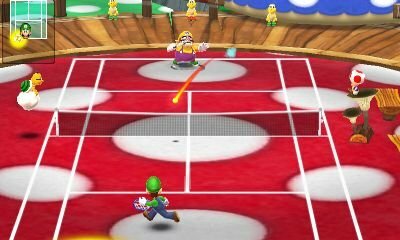 Like the Game Boy Color installment before it, Mario Tennis: Power Tour comes with a full story mode which includes a sampling of RPG touches such as leveling up characters and stats. 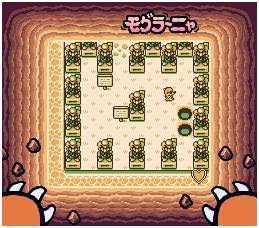 The 2D models, backgrounds, courts, and effects are pretty impressive for the Game Boy Advance, and are an obvious step up from the Game Boy Color version. 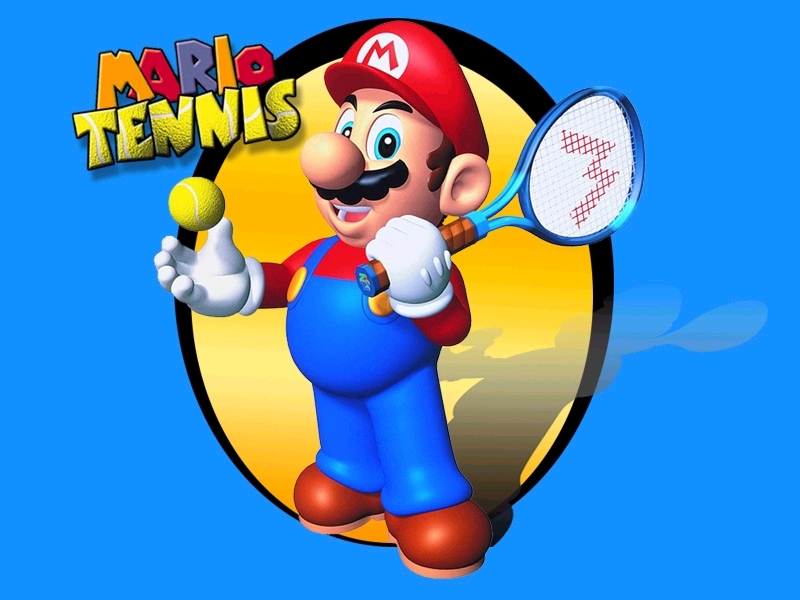 However, the game could be called Run-of-the-Mill Tennis Characters Advance because the general sampling of nondescript human characters you play as take up most of your time; Mario and the handful of other Mushroom Kingdom characters are a side thought. Add in a ho-hum story and the hassle of multiplayer that is next to impossible to find someone with a GBA and a copy of the game, and you have a terrific game but one that is unremarkable and flawed all the same. 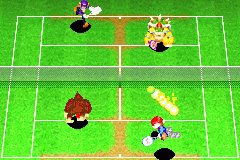 Before Mario Tennis Open, the handheld installments of Mario Tennis featured light RPG elements. The newest game in the franchise forgoes these elements to present a console-like version of the game. The addition of Chance Shots opened up unique strategies. Hit a shot incorrectly, and you opened yourself up for your opponent(s) to take advantage of your mistake. One complaint of Open is the lack of content. Compared to other Mario Tennis titles, this is true, but I still managed to eek out 19+ hours of time with the game through playing through all of the singles and doubles tournaments, unlocking costumes for my Mii character, playing the four creative mini-games, and participating in online matches-- the latter of which could be improved. Miis being overpowered compared to their Mushroom Kingdom counterparts is a problem that I would I have liked to have seen touched upon, but seeing as I don't care about "metagames" in Nintendo titles, this didn't really affect me much. 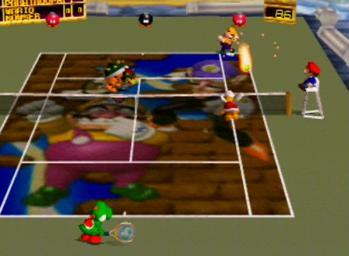 Prior Mario Tennis games were closer to reality than mirroring the cartoon influences of the Mario franchise. That changed with Mario Power Tennis. The game introduced power shots that could be used offensively or defensively to change the scope of a match with one swing as well as courts that weren't just vanilla flavored like the games before it-- these had Klaptraps, Luigi's Mansion ghouls and ghosts, shifting and sliding panels, tilting and tumbling courts, and piranha plants spewing mud all over the surface of the playing field. There were also eight or so mini-games that tested players' skills of tennis such as sending back a giant blopper's various volleys, painting a character portrait using different colored tennis balls, and sending shots into a mechanical Bowser bot. The game would be ported to the Wii with all-new controls, but the superior version remains the GameCube original and anyone who likes Mario and/or tennis games would be well "served" to pick this one up. 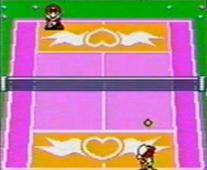 A "smash" hit, Mario Tennis for the Game Boy Color acquainted the world with the mix of tennis gameplay with RPG elements. Players could take their human character through the ranks of the tennis world in the game's captivating story mode with the desire to make it to the top. Along the way players earned experience points through participating in matches which would add up to net them with levels, improving their all-around stats. From a zero to a tennis pro within the span of the story, your character could out-smash, out-hit, out-return, and outrun even the mightiest of adversaries, including a certain heroic plumber. The presentation of Mario Tennis GBC is some of the best the underpowered portable has ever seen. Blend all of the exciting elements of this game together, and you have one of the most competent handheld tennis titles of all time. Not only my favorite Mario Tennis title but one of my favorite tennis games period, Mario Tennis on the Nintendo 64 began the immense popularity of the combination of Mario and the sport. 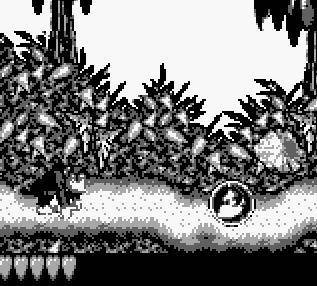 The bounty of unlockables from characters like Donkey Kong Jr. and Shy Guy to colorful courts towering above the heavens or set deep within a jungle make for a game that you will be playing for a long time. And why not considering how addicting the gameplay is. It's so simple yet so rewarding. Hitting smashes past your opponent, unleashing a killer serve, or blasting your rival in the face with the ball all make for enjoyable and entertaining experiences. 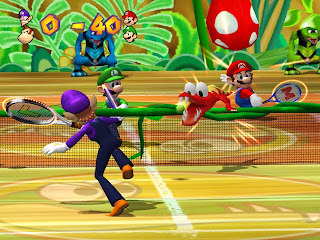 The game also introduced the character of Waluigi as well as long-standing traditions to the franchise like Ring Shot and Item Battle to change things up from the standard tennis fun. I can't exclaim enough my "love" for this extraordinary tennis game. Few can even match the quality represented here. Mario and friends no doubt serve up an ace with this Nintendo 64 classic. You are quite possibly exhausted from reading all of the tennis-related puns I conjured up throughout this edition of Rank Up. That's okay. It's over now. You can rest and relax until tomorrow where another exclusive SuperPhillip Central story will be posted. But before then, chime in on what your favorite Mario Tennis titles or even other most adored tennis titles are in the comments section. Something tells me it will be a slow week news-wise for gaming. That means nothing really as the exclusive content at SuperPhillip Central will get pumped out regularly anyway. That includes the newest retro review to haunt the SPC Review Archive, Geist. Nintendo and Mature-rated games do not usually go hand in hand. In fact, Nintendo generally strays away from such material as they have fought long and hard to preserve their mostly family-friendly image. In the GameCube era, however, they did delve into some M-rated fare. 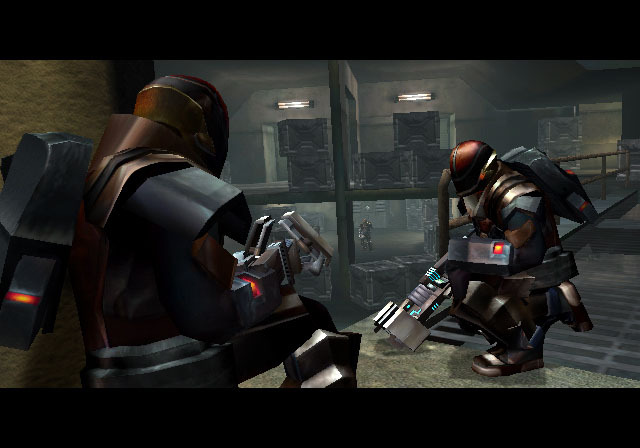 Nintendo published two of Silicon Knights' titles, Eternal Darkness: Sanity's Requiem and the remake of the original Metal Gear Solid, Metal Gear Solid: The Twin Snakes. 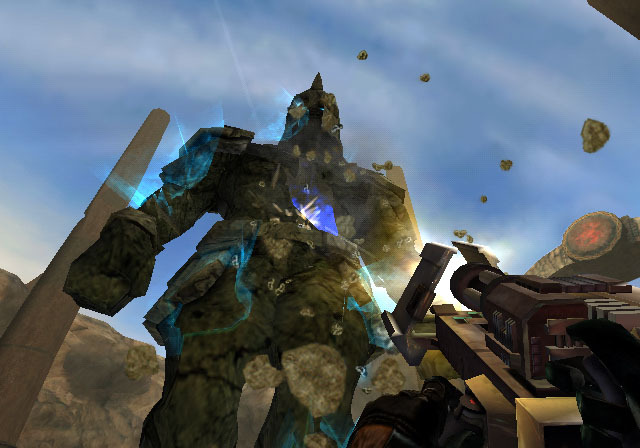 Later on in the GameCube's life cycle they also published an effort by a small developer known by the name of n-Space, a supernatural shooter and the subject of this review, Geist. Does Geist stand a ghost of a chance in capturing players' attentions and imaginations? You play as John Raimi, a man who joins a counterterrorism force infiltrating the suspicious Volks Corporation in search of a missing friend and mentor of Raimi. It all begins as a routine extraction mission, but when Raimi is captured by Volks personnel, he is forced to undergo various experiments all culminating with his spirit being torn out from his body. Escaping from his prison, Raimi, as a ghost, now has the ability to possess objects and certain living things. With this ability-- and the help of a mysterious ghostly girl-- he must find a way to recover his lost body as well as fulfill his assigned mission. The story of Geist has some intriguing plot elements and twists, but most of it comes off as cheesy thanks mostly in part to the voice acting. Some of it isn't that bad, certainly not cringe-inducing, but the actors present definitely weren't part of a nationwide talent search. My problem with the actual cutscenes is that there is no way to skip them initially. Only if you fail a mission and you review a cutscene can you skip it. This makes repeated plays through the game annoying. 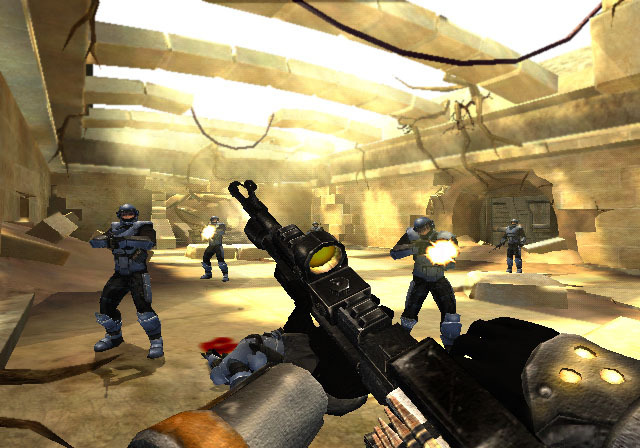 To call Geist a first-person shooter is to make a bit of a faux pas. It's a misnomer. 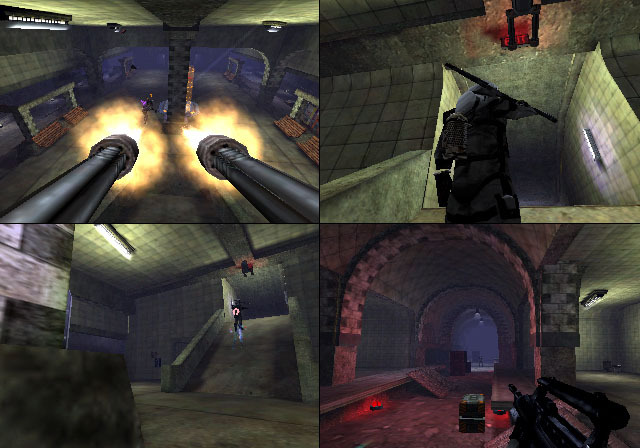 Yes, there are copious amounts of time where you are indeed firing guns at foes, popping caps, and causing bloodshed, but that's just a segment of the gameplay. 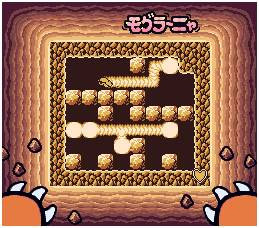 There is a huge emphasis on exploration as well as puzzle elements within the nine chapters of the game. The shooting action is standard material, for sure. Possession is a large component of Geist, as one might suspect from a game where you spend most of your time as a ghost. You can't just possess anything and everything all willy nilly. In fact, to capture human or other lifeforms you must put them into a state of severe fright first. Each device, person, animal, or thing you can possess emits a red aura. Some people and animals need to be alarmed to the point that their aura turns from normal to red. The early goings of the game offer simple solutions to how to coax your potential hosts into fear. Scaring a dog is as easy as taking over his dish and frightening the poor pooch when he approaches it. Some require a bit more finesse and multiple steps. An innocent girl in a shower can be horrified through possessing three nearby shower heads. She'll then to a mirror which you can take the form of to give her an eerie glimpse of herself as a zombie, shocking her into a red aura, perfect to possess. It is important to keep key hosts alive. If they perish for any reason, you fail the current objective and must restart from a checkpoint. So as fun as it is to blast away your mentor and friend, it won't help you advance in the game. Sometimes you'll need to cycle through hosts to clear obstacles. Time slows to a crawl as you are a specter, and most of the time you cannot be seen (later in the game you encounter guards who can see and damage you while you are a ghost). Certain fields block you from passing through them in ghost form, but simply possessing someone with a solid body makes going through them a breeze. De-possessing someone is a smart tactic to see what enemies lie ahead, perhaps waiting for you for an ambush opportunity. "Hey, buddy. You got any more Cheez-Its?" Not all is well with taking over hosts, though. My main beef with the possession mechanic is that there is typically just one right order of steps to possess a given person or living thing such as a rat or rabbit. I feel the potential of Geist isn't fully realized because of this. Could you imagine a type of gameplay where you had a choice of how you wanted to go about frightening a host? The possibilities would be incredible and open the game up to further experimentation. The actual shooting parts of Geist feel great. It's a typical dual analog setup-- you use the analog stick to move and the C-stick to look around. Depending on your host, the left shoulder button performs a flurry of maneuvers such as crouching or sprinting. You have unlimited ammo with each host (who can only hold one gun at a time), but you must reload after you've relinquished all of the ammo in a clip. 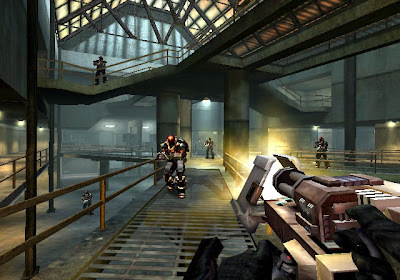 Unlike modern shooters of this generation, Geist doesn't rely on regenerating health. Hiding behind cover when you have been shot at to heal doesn't work in this title. Instead there are health packs plastered on walls around the various levels and boss battles of Geist. Meet your maker, generic solider scum! Unlike most shooters on the market, Geist actually does have encounters with stronger enemy characters-- bosses, if you will. Some are as effortless as strafe to avoid their fire while blasting away at the baddie's weak point. Others require more of your cunning. One boss is a battle between a human opponent. You can possess the dropped grenades that fall from the opponent's belt, roll them over to him, and detonate them to instill some explosive values onto the character. Fi-fi-fo-fum all you like. Your days are numbered. 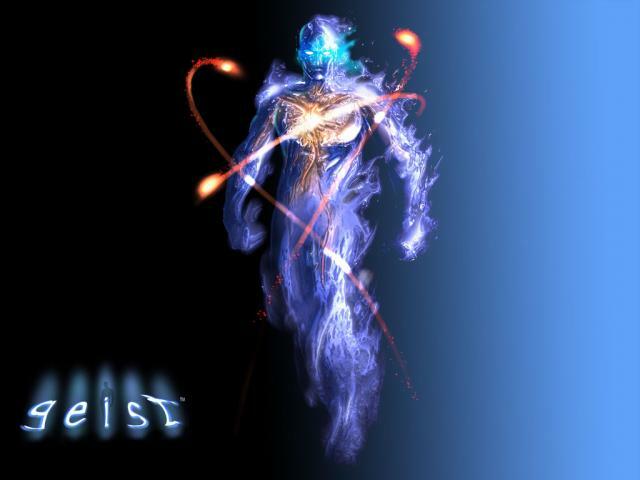 The single player campaign of Geist will last most player 7-10 hours. However, there are some good reasons to replay completed chapters. Strewn about the levels of Geist are ghost and host collectibles. Ghost collectibles can only be gathered by you in ghost form while host collectibles can only be nabbed by a worldly body. Ghost collectibles increase how long you can stay in spectral form without needing to possess something while every two host collectibles grabbed unlock bonus content in the multiplayer modes such as new arenas and characters to play as. Speaking of the multiplayer, the options are pretty expansive for a console shooter, containing numerous options from whether or not to include power-ups like defense up and health increases to whether or not you can possess objects like explosive crates and gun turrets. There are about a dozen or so arenas in all ranging from small to large, one-tier to multi-tier. Oh, and yes, there is the inclusion of bots. Hallelujah. Three modes is the amount of match types to choose from including Possession Death Match, where a selection of hosts rest idly by in all corners of the map and the goal is to take a host and kill your opponent with them; Capture the Host, where the objective is to possess a host and bring him to your base; and Hunt, where a team of ghosts try to possess a team of hosts, forcing them into death traps while the team of hosts try to exterminate the ghosts. Geist's multiplayer is quite unlike any other shooter on the market. It's an enjoyable experience, especially with a roomful of friends. 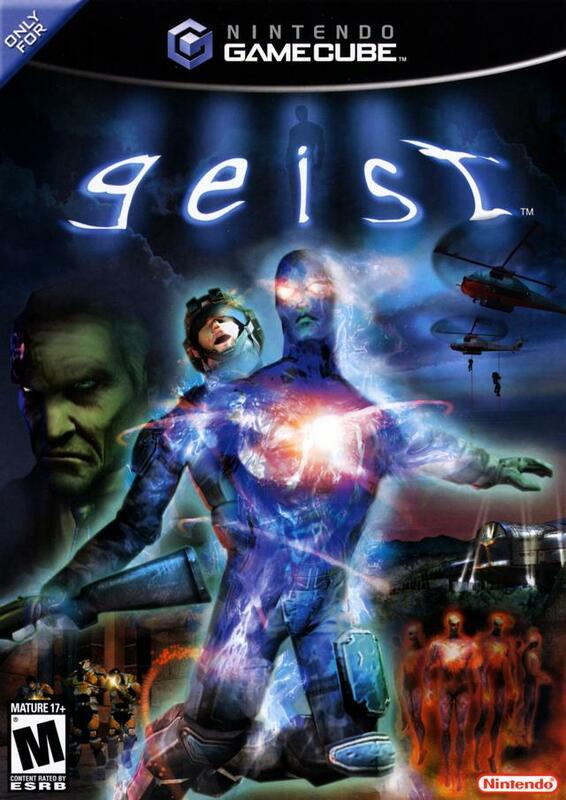 Geist was by no means a technical marvel when it originally debuted on the GameCube in 2005, late in its life. It wasn't a showpiece of tech then, and that fact certainly shows itself in the here and now. The character models aren't heavily detailed, the textures of the environments aren't too impressive, and the lighting is capable but nothing to write home about. The HUD is quite good, though, and clean. I do like how it shows the character you have currently possessed in the bottom left corner of the screen and what he or she is currently doing (i.e. shooting, running, walking, etc). Away from the visuals, the music of Geist is pretty competent. It kicks up when things get tense while it stays subdued when the situation calls for it. Like I said previously, the voice work isn't the best, but it gets the story across adequately and that's all that really matters. Overall, Geist is a pretty dated looking game. Possessing (see what I did there?) a high degree of innovation in a genre that pretty much strives on being by the numbers, Geist is a welcomed change from today's line of grey and/or brown corridor shooters and highly scripted affairs. It could have pushed itself to be more ambitious, but considering the developer behind the game, this project turned out well for them. This game didn't turn the industry upside down, nor really should it have, but if we see more shooters that try to push the genre in interesting directions, then I couldn't complain. Geist isn't the ghost with the most, but it is a commendable effort by n-Space. Hot temperatures and steamy conditions in Central City make for an uncomfortable day. That's okay as I can sit inside and listen to some cool VGMs. Some of the games being represented today include Wii Sports, Super Princess Peach, and Sonic Unleashed. If there's no disagreements, let's get to the music. This game could be argued as one of the most defining games of this generation alongside Call of Duty IV. 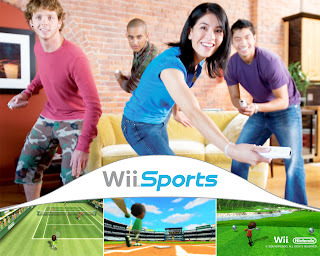 It's Wii Sports, a title that was previously packed in with the revolutionary Nintendo Wii system. The title featured five sports: baseball, bowling, tennis, golf, and boxing. It also introduced the world to Miis, avatar characters that could resemble their real life counterparts. Wii Sports had a grand impact on the industry whether some wish to admit to it or not. 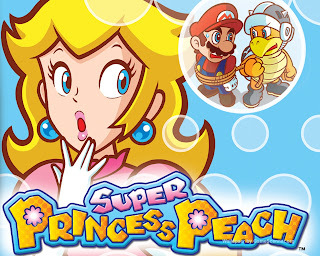 The first game to star Princess Peach, Super Princess Peach had the titular character journeying across Vibe Island's eight lands to rescue Mario and Luigi from the grips of Bowser's clutches. Along the way, she cried, she was on cloud nine, she raged, and she grew clam through her platforming escapades. Even the enemies couldn't help but get emotional as well. While a tremendously easy game and one that garnered a lot of criticism for the way it portrayed Peach as finicky with her feelings. Women are no doubt not as emotionally fragile as Super Princess Peach might make them look, that much is certain. Reviewed last week right here on SuperPhillip Central, Monster Tale comes from the brains behind Henry Hatsworth in the Puzzling Adventure and the upcoming Disney Epic Mickey: Power of Illusion. The thread that ties all three games together, besides being made by Dreamrift, is that they are all platformers. Monster Tale is a Metroid-style platformer, but it has a heavy reliance on backtracking which I broached about in my review. This song, Aqueducts, is a magnificent song to just lay back, relax, and chill to. You may not have heard a peep out of the Teenage Mutant Ninja Turtles in a little while, but rest assured that they will be coming back in a big way. A Nickolodeon animated series is coming soon, and it promises to offer a lot into the ethos of the franchise. 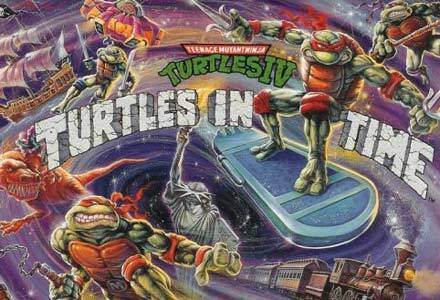 Speaking of offering a lot, TMNT IV: Turtles in Time is my favorite TMNT entry, sending the Turtles back in time thanks to Shredder's time machine device. The turtles fight their way to the present and take down a mutated Shredder, saving the day and giving the city of New York its Statue of Liberty back. A lot of Sonic Team games during this era had one or two or many things that stopped them from being truly great games. 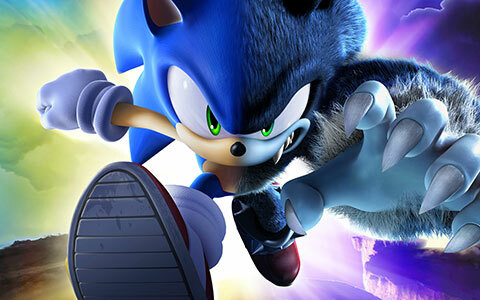 With Sonic Unleashed it was the addition of Werehog Sonic, an immensely slow character who had agonizing platforming and brawling sections. These would be fine if they were five minute affairs, but they went on for 20-30, even on a good tear. Rooftop Run - Day is a terrific tune as it features a great combination of rock guitar and strings. At least normal Sonic's stages were superb and laid the groundwork for Sonic Colors and Sonic Generations. Put on the suntan lotion and head to the pool as this volume of the favorite VGMs is over. But things are just heating up as we listen on all summer long. Next week we'll have five more entertaining tunes for your enjoyment. See you then.